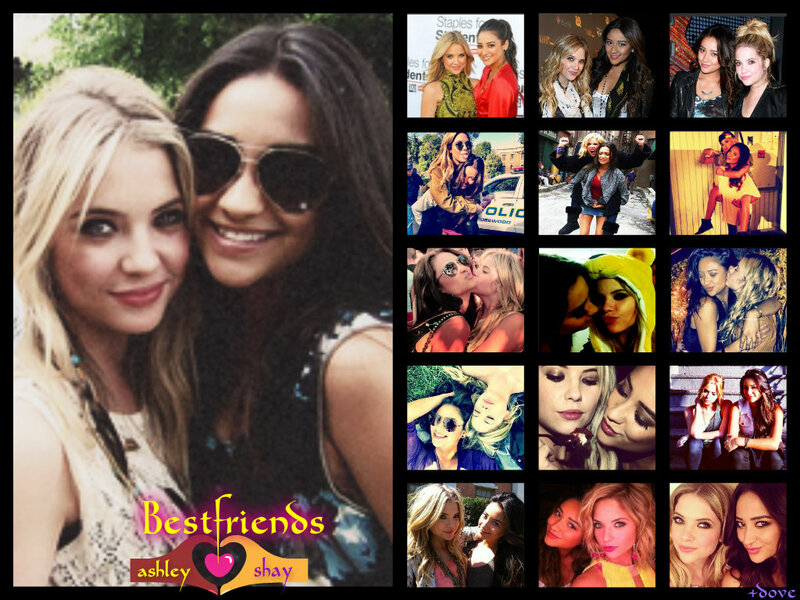 shay&ashley. bestfriends forever. HD Wallpaper and background images in the Shay Mitchell and Ashley Benson club tagged: ashley shay shay mitchell ashley benson. This Shay Mitchell and Ashley Benson fan art contains 애니메이션, 만화, and 만화책. There might also be 스테인드 글라스 창.